Old House Parts Company has a full service workshop. We offer many custom pieces beginning with design, to creation through installation. We have created many unique beautiful pieces including but not limited to: kitchen cabinets, sinks, kitchen islands, even full kitchens. 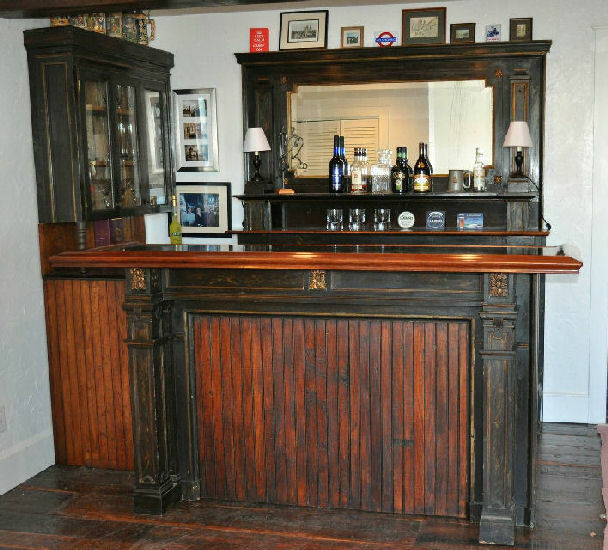 Pieces such as bars (residential and commercial) staircases, coffee/sofa tables, farm tables, headboards, benches, bathroom vanities, doors and the most beautiful old wood floors. Look through our custom pictures to see our vast array of talents! We can work with you to create/ design any specific piece while incorporating your own touches and style. Give us a call, send us an e-mail or even stop by the store. We are very excited to meet with you and discuss some ideas.